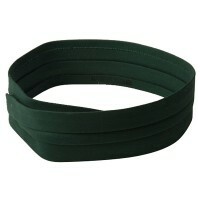 One of the winter accessories must-haves that you need to have in your wardrobe are bands and warmers. There are different types of accessories that you can wear for winter like bands and warmers, Head and Wrist Bands, as well as Leg Bands. Bands and warmers are designed to keep your warm. Wearing them on your head, wrist, arms, legs, and neck can ensure that you don’t lose heat from your body. Band and warmers are very important accessories for people living in colder climates. They are often paired with other thick clothing for added protection and warmth. For instance, neck bands are often worn with sweaters to keep your neck warm during winter days. Clothing band and warmers are traditionally made from knitted sheep wool. Knitted sheep wool is stretchable thus making it easier to slip on the band and warmer. Others are made from fabric such as cotton, polyester, acrylic, and many others. While band and warmers are favorite accessories during the cold months, they are also worn today as fashion accessories. Wrist and Women's Hair Bands, for example, are worn to complement different fashion style and even show support to your favorite sports team or other types of campaign. Keep yourself warm with our bands and warmers. Wearing them ensures that you don’t lose necessary heat from your different parts of your body. 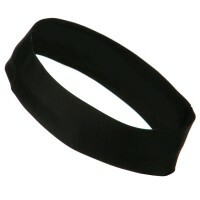 Our bands and warmers include head bands, hat bands, and wrist bands. Check our site for more information! They do not only provide warmth to specific parts of the bodies but they also provide accent to where they are needed. There are different types of bands and warmers that you can choose from and you can never go wrong when choosing different pieces for your wardrobe. Aside from the head bands and leg bands, you can also choose Neck Warmer to warm your neck. To keep your ears warm, opt for Ear Muffs instead of wearing ski masks as they look more attractive and fashionable. Whether you choose one Hair Clip over the other, what is important is that you need to get those that will provide you with optimal comfort, warmth and protection against the weather. Moreover, it is also crucial to choose those that will complement your style.